Here’s a topic to contemplate on a snowy winter’s day, with seed catalogs spread around. How do you make your choices for the new garden, and why? This is not an attitude I disagree with, fundamentally. Three cheers for Waltham butternut – it is a great squash. (The photo is of Early Butternut, very similar but slightly shorter-vined, which is why I chose it for last year’s garden.) Three cheers for seed-saving, too. 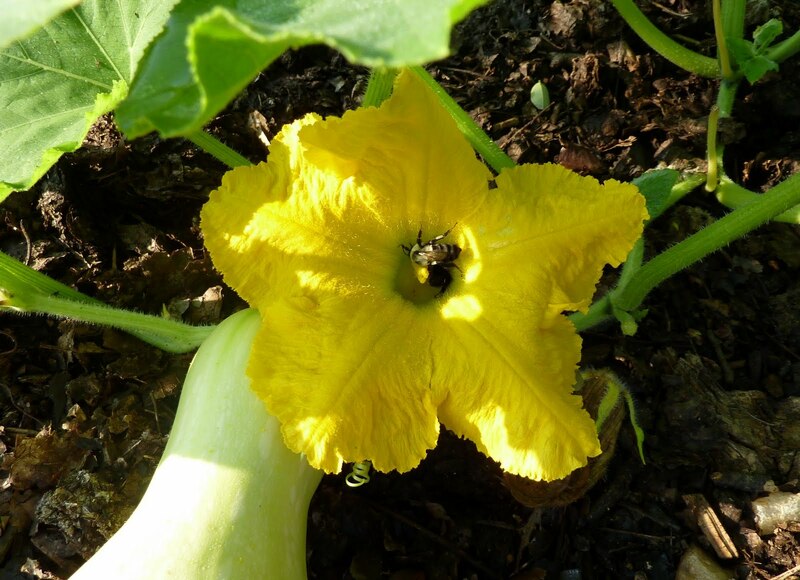 (Though remember that if you grow any other Cucurbita moschata squash along with your butternut, they may cross.) Also, three cheers for being a gardener for more than 50 years! However, cheer-worthy as this approach is, it is not me. No matter how good a particular variety is, I’m unlikely to grow it more than a few seasons in a row, and I’ll only go several seasons because I don’t like to waste seeds. This is my year for using up all those packets of seed still hanging around from the last five years. I have purchased for myself (as opposed to for the demo garden) a grand total of two packets of lettuce seed this year, and I didn’t really need those, but since I have a salad table now, hurray, I will try to keep lettuce going all season. Anyway, once I’ve made this sacrificial gesture (that still results in many delicious meals for my family) this year, next year I can approach the catalogs with excitement and buy All! New! Seed! And what will I buy? Not the varieties I’ve just used up seed packets for. No matter how good they were. I want to try something different. Now, I should emphasize that I do not, by the definition psychologists use, have a novelty-seeking personality. You won’t catch me sky-diving or taking drugs or buying a new car I can’t afford. Nor am I the gardener who has to have the latest, most trendy thing, always. But I am the sort of person who, given the choice, will opt for purple carrots. (I am also the sort of person who likes to know, and tell other people, that purple was the original color of most cultivated carrots; orange came later.) I’m more likely to go for something I haven’t grown before, because it might be really good and it will certainly be fun to grow. In my opinion, there is plenty of room in the gardening world for both sorts of gardeners – the “stick with what works” kind, and the “ooh, purple carrots” kind. 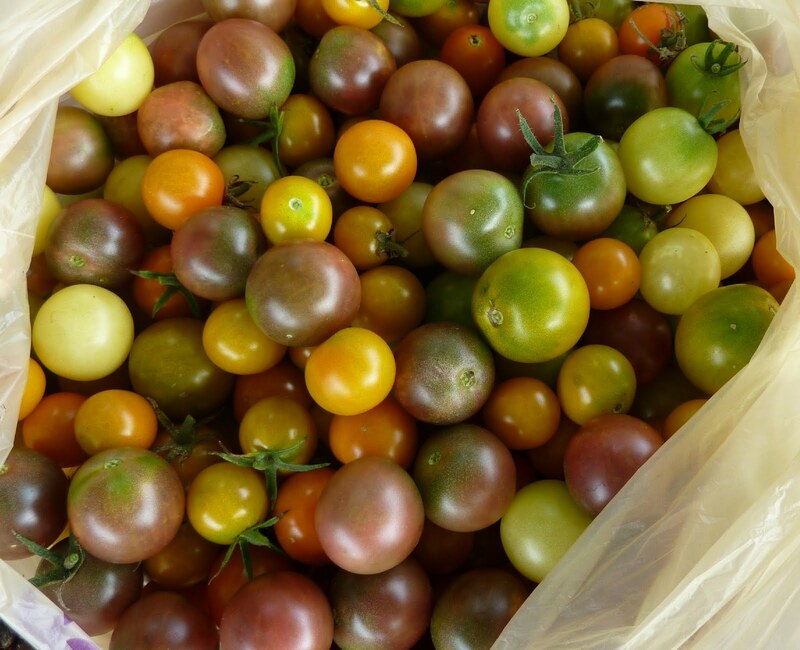 It’s only gardeners who grow the same varieties for years on end who can tell you that they produce well, not just in that really good summer we had one year, but over all the droughty and rainy and buggy summers we have in the normal course of things. They’re the ones who’ll have extra saved seed to share, too. And if the trend is moving toward more hot, buggy summers, they are the ones who’ll be able to tell you honestly that a tried-and-true variety is just not cutting it anymore (although it may take several years to persuade themselves). They may be a little stick-in-the-mud, but they know what they’re talking about. If it wasn’t for the purple-carrots gardeners, though, fewer of us would be willing to strike out into new gardening territory. We can be a little flaky at times, we novelty-seekers, but we broaden viewpoints. We also make the mistakes so you don’t have to. Talk to us and we’ll tell you what not to plant, or when not to harvest, or that you really have to cut the seed-heads off or you’ll be in big trouble. We want to listen to your experiences, too, because ooh! maybe we’ll grow that next year. Perhaps each of us who leans toward stick-with-it-ness might resolve to try something with an ooh! factor this year, and the novelty-seekers might decide to become an expert on one variety by growing it year after year. Loved this post! I'm currently writing a blog on novelty seeking behavior, (also of the non-risk taking variety! ), while trying one new thing a day for a year and was wondering if I could link to this post? Growing and/or eating purple carrots just might have to be one of my new experiences! Sure, I'd be happy if you link. Your blog looks great; I will check it out.